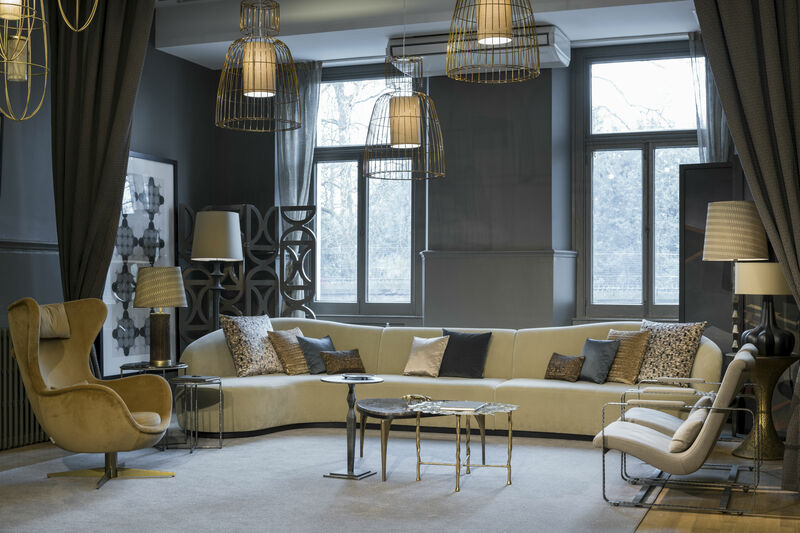 Drawing inspiration from a range of styles and cultures, luxury interior brand Hamilton Conte has found a new home in London. High end furniture and home accessories brand Hamilton Conte Paris was founded in 2009 by Ross Hamilton Englisbe and Fabian Pellegrinet Conte. 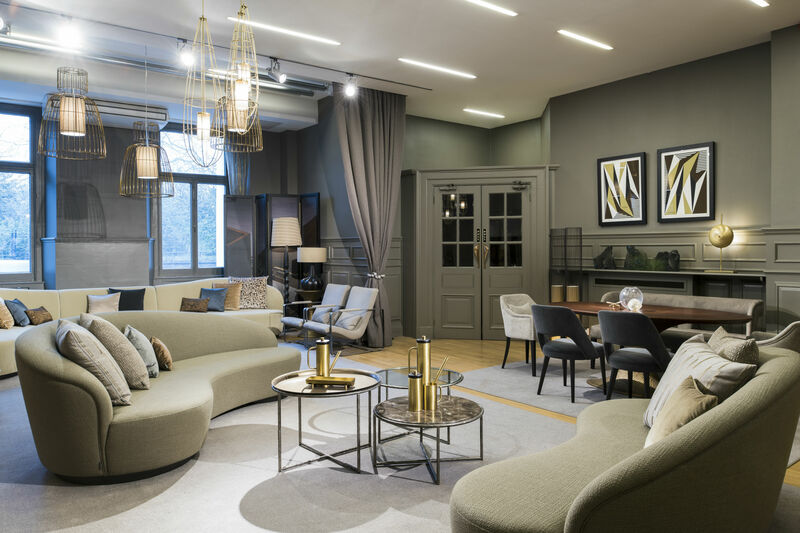 Offering all the elements of a luxurious interior space – including furniture, lighting and design accessories – the brand draws its inspiration from the diverse backgrounds and complementing talents of its two founders. Both passionate about interior design, Englisbe and Conte have managed to combine logic with creativity within their craft; the brand they have created is devoted to artisanal production, attention to detail and originality, and is influenced by a variety of styles and cultures. Conte has been an interior architect and designer for over 20 years; having previously consulted for brands and worked in the residential, hotel and office industries, he leads Hamilton Conte as the brand’s Creative Director. Meanwhile, Englisbe ensures the products created have a perfect balance of aesthetics, form and function, and acts as Hamilton Conte’s Director General in the running of the high end brand. Hamilton Conte explains that their collection is inspired by storytelling, and they strive to create pieces that share a narrative. “A good story is something that we connect to, that makes us feel good,” they share in their latest catalogue; “Our interiors and the objects that surround us must do the same. Bringing this to life is the goal throughout Hamilton Conte’s entire creative process”. The brand has recently opened their first showroom in Belgravia, on Grosvenor Place. 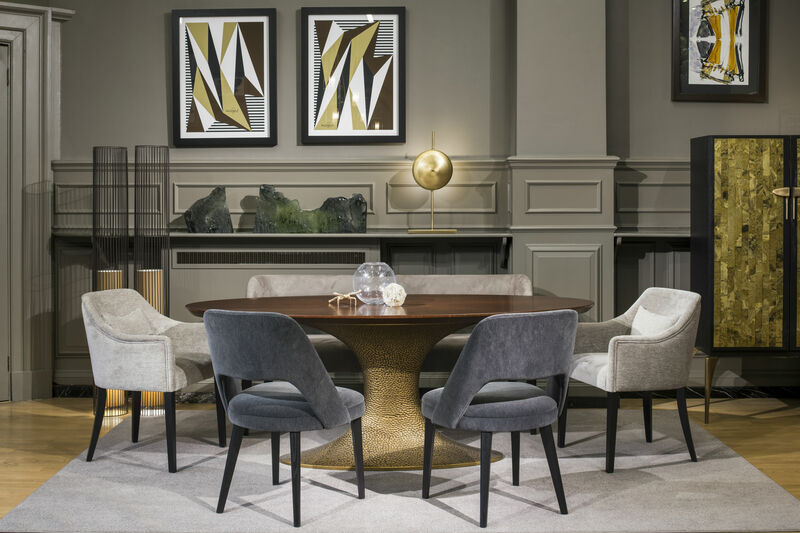 Within the beautiful space, Hamilton Conte is showcasing their contemporary, lavish pieces in a relaxed setting that combines the brand’s sophisticated philosophy with a classic, British atmosphere. The brand’s interior aesthetics have been separated into five key sections: Eclectic, Relaxed, Handmade, Cosmopolitan and Inspired. The first section, ‘Eclectic’, brings together individual pieces that work in cohesion, or that play off pieces from other collections in an intelligent way. ‘Relaxed’ focuses on comfort, with the objective that whilst products can also be elegant, how comfortable they are is paramount. The third section, ‘Handmade’, refers to Hamilton Conte’s dedication to artisans and their crafts – with many of the brand’s products being handcrafted. Meanwhile, the ‘Cosmopolitan’ section showcases the way that Hamilton Conte has merged design moments from the 1950s, 60s and 70s, the Americas and Europe – whilst always adding Parisian Flair to their designs. Finally, ‘Inspired’ continues to suggest the way that Conte and Englisbe see inspiration everywhere – from different cultures, to nature, fashion and architecture. As they say of their own collection, “there is a story behind each piece… it is the stories behind each object that enrich the story of your own interior”.